Home to billions of people, cities are often the source of our most urgent problems–but they’re also where we find some of the most promising solutions for the urban century ahead. 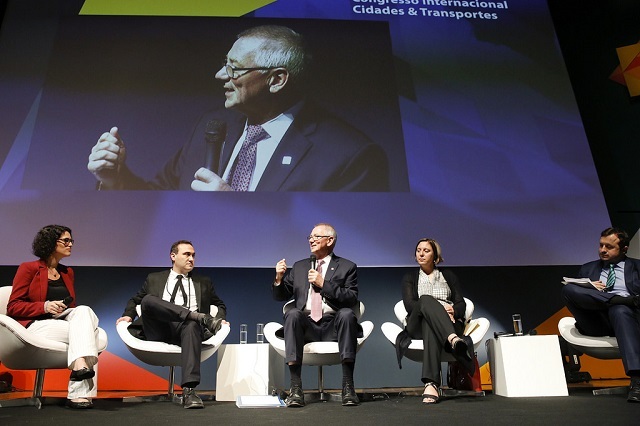 Today, over a thousand people and 130 speakers gathered for Day 1 of the Cities & Transport International Congress in Rio de Janeiro, Brazil to engage these pressing issues and share their ideas, experiences, and insights for creating sustainable cities. Echoing ideas discussed at the Mayors’ Summit yesterday, representatives urged that the best way to make these changes happen is to have city governments lead with bold visions for the future. Nina Lualdi, Cisco’s Senior Director for Transformational initiatives and Strategic Investments in Brazil, urged cities to create ambitious goals for themselves, even if they seem “impossible [or] crazy,” and to take steps to execute them. Without these visions, citizens have little to hold their governments accountable with, and efforts lack strategic coordination. Ken Livingstone, speaking about his time serving as the mayor of London, emphasized that cities are the main actors in the fight for global sustainability. “We cannot wait for [larger] governments” to act on climate change, he said. Too often, national governments are slow to act and lack the enforcement necessary to effect change. Instead, cities should pioneer sustainability efforts that increase the quality of life of their citizens and decrease emissions. During his mayorship (2000-2008), Livingstone successfully accomplished this by passing a congestion tax and modernizing bus fleets; despite initial backlash, there has been a 50 percent increase in the use of public transport in London within the past 15 years. Finally, local decision makers in Brazil specifically should look to urban mobility plans as an opportunity for realizing these bold visions for sustainable mobility-oriented cities. Since Brazilian law requires cities with more than 20,000 residents to incorporate urban mobility into their development plans, these cities can approach low-carbon growth and sustainable urban transport simultaneously. Sharing her experience working on Portland’s urban mobility plan, Leah Treat, the Director of the Bureau of Transportation in Portland, Oregon, named 7 targeted outcomes for an effective urban mobility plan, including improvements in: safety, health, access, economic benefits, equity, climate pollution, and cost effectiveness. A central question facing cities working toward greater sustainability is how to develop and grow in ways that meet the needs of all citizens. While bold visions, new Bus Rapid Transit systems, and enhanced metro systems may allow some individuals to better navigate cities, these efforts risk alienating vulnerable populations if accessibility and affordability are not prioritized. As Enrique Peñalosa, the former mayor of Bogotá noted, new transport modes mean little to people if they can’t access or afford them. Paula dos Santos da Rocha, Transport and Accessibility Projects Coordinator at WRI Brasil Sustainable Cities, defined an inclusive city as “one in which all people can live, where men and women have equal rights, and the elderly have [their own space. ]” Representatives went on to name accessibility as a “human right”, and demanded that cities treat individuals with special needs as the rule, not “the exception” addressed only as afterthoughts. For example, in Brazil, 24 percent of the population has a reported disability, yet no city in Brazil is fully accessible for persons with disabilities. To address this issue, cities should include accessibility in planning decisions; not only will this influence design, but it will permit cities to budget appropriately for amenities like wheelchair ramps and proper signage. Beyond accessibility, city leaders identified the need to create high-quality public spaces that are pedestrian-oriented. Alexandros Washburn, the Director of the Coastal Resilience and Urban eXcellence (CRUx), explained through his work in New York City that citizens want clear, walkable streets that are safe. Attractive sidewalks and public spaces not only incentivize individuals to choose sustainable methods of transport–such as walking and biking–but that they can also boost local businesses through increased foot traffic. One way cities can foster accessibility, create quality public space and encourage density is through transit-oriented development (TOD). Representatives pressed cities to first consider TOD, then adapt its principles to the local context. As Clare Healy, network manager for TOD at C40 Cities, explained, transit-oriented development is going to look different in various cities; “in Buenos Aires, getting people to move away from cars” is the first step in increasing density she said. The important thing is that cities begin implementing TOD into city planning so that future growth revolves around accessible public transport. 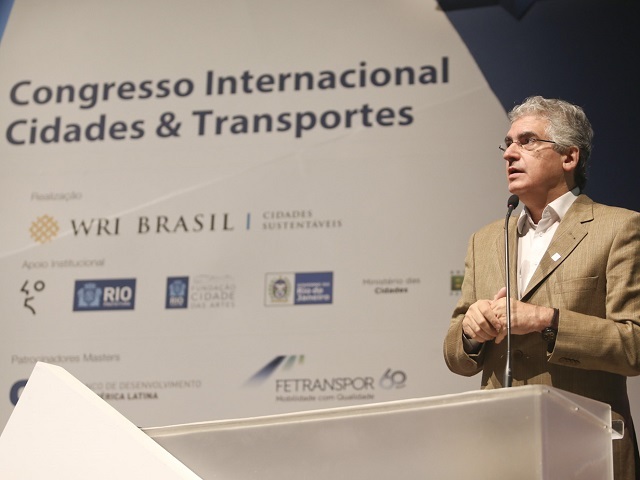 For a recap of Day 2 of the Cities & Transport International Congress click here. For a recap of the Mayors’ Summit, visit here.